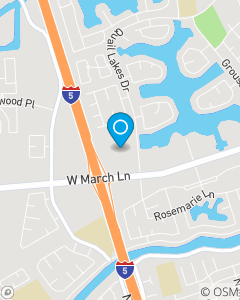 Located in the Quail Lakes Shopping Center, next to S-Mart, corner of March Ln and Quail Lakes Dr.
Our Mission is to help our Policyholders manage the risk of everyday life and to be the residents of Stocktons first choice for Insurance and Financial Services. Team Guzman Insurance has been serving the insurance needs of the San Joaquin County since 2003. Ourfocus is auto, renters and home insurance throughout Stockton, California. We have over 30 years of combined StateFarm Insurance experience and look forward to meeting you and serving your insurance needs. Call the Don GuzmanInsurance team anytime, 24/7 for a FREE Auto Insurance Quote!